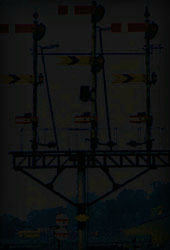 Exeter City Basin's down home, and the signalbox. The up starter. 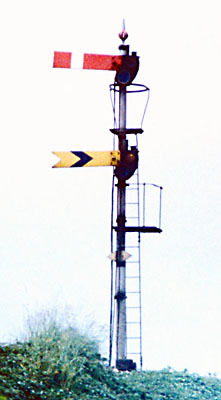 The distant beneath was originally Exeter West's, but when the latter was replaced in 1985 City Basin became the fringe box to the new Exeter PSB, and this arm remained for a short while as the repeater for the latter's first stop signal until the new signalling for this section of line was commissioned later in 1986. 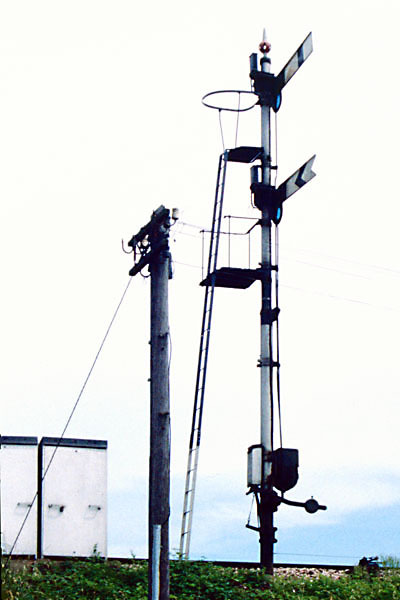 A side view of the same signal. A long-range shot of the up innerhome. 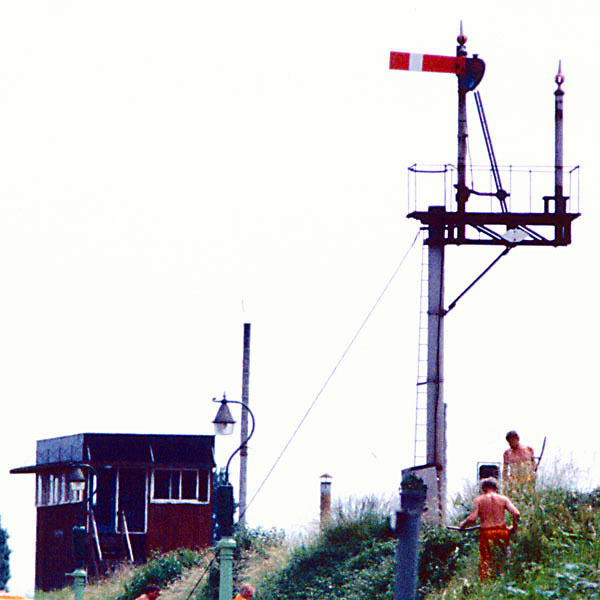 The down home and up starter, viewed from St Thomas station.